Apostolic Revelation: How Long Will Satan Get A Immediate Response From God? How Long Will Satan Get A Immediate Response From God? Why God Allows Satan And His Angels To Act As Intermediaries Between Him And Humans? Question: Regarding this article: 'Can Satan And His Demons Be Given A Opportunity By God Now To Get Saved Like Humans? ', I agree with you my Apostle and Teacher. But I have another question, my dear brother in Jesus Christ. 1) How Satan is allowed to go up to God's dwelling place to report about humankind, who are worshiping God through their Love towards God, wholeheartedly. 2) HOW LONG God will be allowing him to GET an immediate RESPONSE from God, Who Is WILLINGLY taking ACTION also, to TEST the FAITHFULNESS and LOYALTY of someone. What are your thoughts regarding it? The name 'devil' describes Satan as slandering God to man and man to God. The former work is of course, a part of his great work of temptation to evil and is not only exemplified but illustrated as to its general nature and tendency by the narrative of Gen 3:1-7. The other work, the slandering or accusing men before God, is the imputation of selfish motives (Job 1:9-10), and its refutation is placed in the self-sacrifice of those "who loved not their own lives unto death." (Rev 12:10-11). Let me make it clear, Satan once had access up to third heaven which is the highest place where God dwells, we also call it New Jerusalem or the city of God (Rev 21:2; Heb 12:22-23). When he sinned against God and got filled with pride, God threw him from this place and he fell from the third heaven (Isa 14:12; Ezek 28:14-15; 2 Cor 12:1-4). All the angels were only able to access up to the second heavens where he went and got them convinced about a separate kingdom through his lies, so from the second heavens again God threw Satan and his demons down to the earth (Rev 12:4; John 8:44). Falling from heaven, they created chaos on earth and made it to become formless and void filling it with darkness and God turned their body in to ashes before all the good angels who were watching the creation of the earth (Gen 1:2; Isa 14:16; Ezek 28:17-18; Job 38:6-7). Out of all chaos the Spirit of God moved over the face of the earth and continued with God's pet project work of the earth (Gen 1:2). But when God created the atmospheric first heavens (Gen 1:6-8), the angels must have rightfully as guarding angelic watchers by their calling seems to have taken residence in it, that is why God did not comment the happenings on that day as good in spite of the beautiful expanse of heaven created on that day (Gen 1:8; Dan 4:13, 17, 23; 10:13, 20; Deut 32:8; Eph 2:2). That shows how God feels about his permissive will in allowing things rather than exercising his perfect will, which has taken a backseat because of his creative Love towards His creation. As the Lord in the beginning set the ordinance of the heavens to have dominion over the earth through these angelic watchers (Job 38:33; Dan 4:35; Isa 46:9-11), now these evil angels wander here and there as disembodied spirits along with Satan seeking to posses and influence humans and animals to express themselves through them legally because of Adam our forefather who sinned and lost his authority to rule over the earth to Satan and his minions (Matt 12:43-45; 8:31-32; Luke 8:2; Rom 5:12; Rom 6:16). Because of the fall of man in to sin, Satan gained back his place of rights to legally enter in to second heaven back, and he goes there is disguise as a angel of light because none can rebel and stand before the Lord of all the universe the God Almighty (1 Sam 6:20; 2 Cor 11:14-15), he goes there as a leader or in other words leading watcher representing the people on earth along with his demonic representatives of principalities, powers and rulers of the darkness of this age (Eph 6:12). All the angels gather together on a particular day in the second heaven to report to the Lord of what they have been doing and take instruction from Him to execute His will (Job 1:6; 2:1; 2 Chron 18:21). Satan also goes as a angel of light to report of his work on earth (Job 1:7; 2:2). Unbelievers are already in Satan's fold and he gets power from God on behalf of them (Eph 2:1-3), and distributes it to gain wealth out of it by trading for himself and keep the people in the nations around the world as a slave to sin and do his bidding and serve him in blindness (2 Cor 4:4; Ezek 28:18; Matt 4:8-9; Luke 4:5-6, 7). Religions are one of the way Satan blinds people and keep them away from the truth of the gospel lest they believe and get saved (Acts 28:26, 27, 28). God in his perfect will did not allow Satan to gain such a foothold over people by spreading his darkness of lies so strongly to deviate them from the truth, but in his permissive will he let it all happen in which Adam our forefather by his voluntary volition failed to obey God and instead sinned to make all of our human race to become sinful by nature within us from birth (Psa 51:5; 58:3; Eph 2:3). When I say permission, it is not some sort of positive sanction, rather God simply lets it happen. That does not mean, God was impotent to do anything about human sin to make man sovereign but it simply means that He does not directly intervene to prevent its happening, with a intention to work his greater good to humans through allowing them to choose and exercise their free will to invite Him voluntarily which He is always willing to do. God values the free will of humans so much, that it is one of the most powerful faculty that exists as the gift of God with him always sometimes used and many times being unused and misused due to ignorance and lack of godly knowledge which make them perish (Hos 4:6). As for the believers who have believed God through our Lord Jesus Christ, Satan has no more right over them because they have been transferred totally from the Kingdom of darkness of Satan to the Kingdom of the light of God, delivered from the power of Satan and darkness to be established in to the Kingdom of the Son of His love and power (Acts 26:18; Col 1:13). In other words, Jesus as the leader of our life is the one who receives the power for us from God and gives it now to the messengers of the Church who are the appointed leaders to dispense it in the life of people of God who come to them seeking for a solution from God (Eph 2:6; 1:20-21). This is the reason Jesus writes to the angel of the Church to instruct them directly how to lead the sheep's of God (Rev 2:1, 8, 12, 18; 3:1, 7, 14, 22). Now the intermediaries who carry the power of God on behalf of His people directly are these fivefold gift of Christ who have been appointed in the Church (1 Pet 5:6; Eph 4:8, 11). They should be careful enough not to do the work of God deceitfully by compulsion or dishonest gain as lord over the people but as a example before them (Jer 48:10; 1 Pet 5:2, 3, 4). So every minister of God is called as a angel to represent God before the people and people before God. But the good thing is, every believer is called to be like this for the Glory of God and so there is no special clergy of professional experts who speaks and laity the ordinary dumb hearing sheep-people in the Church (1 Pet 2:5, 9-10). In other words, the purpose of the gifted gifts of the five-fold office and ministries of the Church is to empower all the other brethren to become like Jesus by themselves being an example to them (Eph 4:12-16; 1 Cor 11:1). 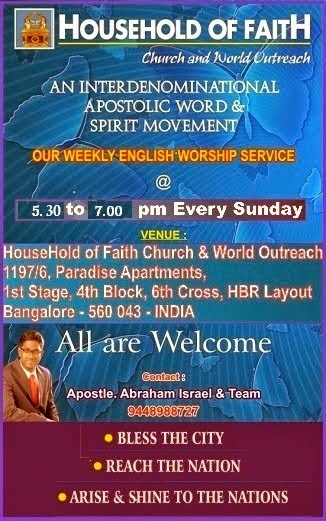 In short, all the people of God are present in this earth to spread the Kingdom of God in all the earth (Matt 6:10). So the answer to your question is, to the unbelievers Satan still goes before God in the second heavens to continue to receive power as the representative intermediary of all those who are in darkness without the light of the gospel of God in them, but for the people of God only when God allows Satan to disrupt his people to chastise them towards holiness, Satan and his demons will be able to have immediate response as in the case of Job so that the fruit of the goodness of His and faithfulness towards God and loyalty towards Him can be grown and proved for the Glory of God (Heb 12:7, 10-11, 14; Job 1:12; 2:6; John 15:4, 7-8). But the good thing for the believer is, the Lord is compassionate and gracious to turn what the devil has done for us in to a double blessing of His at the end (Job 42:10, 12; Jam 5:11). Very soon once the Rapture happens, the demons and Satan will be thrown out of the second heaven and instead the New Heaven and New Earth will be put in place for the saints to stay over there to restore the present earth through out the age of Millennium with Jesus and bring it in to subjection to God (Rev 12:7-12; Php 3:20-21; 1 Cor 15:20-28). It is not without reason that Satan and his demons are so sold out to promote the new age and the stories of alien visitation from another planet which shows that they are scared of God's plan to inhabit the Church in the new heaven and new earth to bring this earth in to subjection through the sons of God who are already in the making. Satan will be put in prison along with many of his tyrannical minions, who all will stay there for a thousand years time (Rev 20:1-3). Once the Millennium gets over and done, Satan will be let loose for a while in which he will deceive the rebellious sinners on earth to rebel against Jesus and his saints in spite of them receiving nothing but the goodness of God for their whole life (Rev 20:7-10), which will prove that man sins because of his depraved sin nature within him that rebels against God when opportunity arises, because for the whole Millennium these sinners had none to make them sin as the righteous rule of Jesus and the Church saints will have been done through the rod of the power of God. Satan also could not be blamed for their rebellion as they never had experienced his thoughts previously as he was in the prison until the end. And finally they could not blame God to not to be available to them to guide them to stay away from sin as Jesus would have been there with them physically present in Jerusalem giving them all the opportunity to learn from Him as He would have decreed to all nations to come and receive His blessings year after year or else experience curse instead (Zech 14:16, 19). So the depravity of the sin nature will be proved for eternity, which will justify and glorify God for his redemption through the blood of Jesus Christ our Savior and Lord (Rev 5:9-10). God works all things together for the good of those who are called according to His purpose and those who love Him (Rom 8:28). 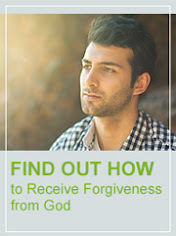 We must remember that receiving the forgiveness of sins in itself is a huge blessing from God for which even eternity is not enough to be thankful for and praise Him, but the most wonderful thing about the great Almighty power of God is that, what ever evil Satan has done to destroy his people through sin, sickness and the curse of the law, God has promised to turn in to a eternal blessing that is something extremely good for us, and reward us in eternity if we continue to hold our faith and persevere for the Glory of God (Heb 10:35-36). May we learn to rejoice and rejoice in to eternity for the Glory of God (Php 4:4)!